Grr, I hate how easy it is to sign out and lose a comment... What gorgeous paper!!! 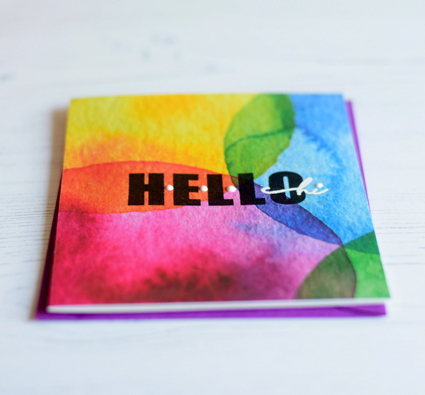 Perfect for a fabulous quick+drying time card. The Nuvo drops are a perfect addition. Lovely card, what is the paper I love it... what kit how do I get it!!! Love the addition of the enamel dots. thanks! I edited the post to include a link to the kit. 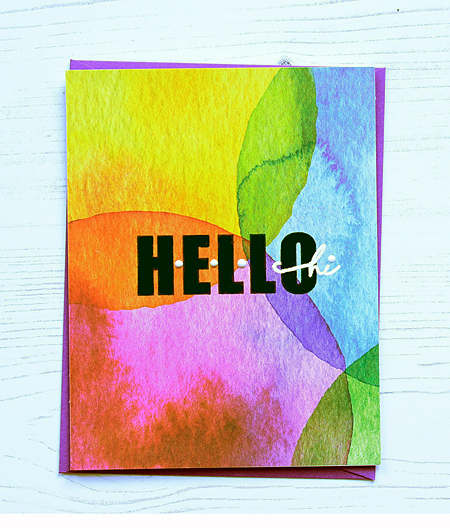 It is New Day Card Kit from Altenew. It is packed with stuff and I got it half price on Black Friday. I think there are only 2 sheets of this paper in the pack but I love the other papers as well. love how you used that paper - I bought the kit too and love all the good stuff in it - I've been using some of the papers as background when I photograph my cards. Love the Double Take set! You always point me to things I'd never seen before. The paper is gorgeous. Of course, had to go look at that, too. I'm trying to wrap up some of the Christmas mania this week, but I'm sure there will be other mania to take its place. What fun! I love it with the white "hi" and the extra white dots that you added. Wow ! That’s a stunning card !